On our recent trip to Brazil hummingbirds were abundant in all the locations we stayed in. They were very vocal from early morning until late evening and were very protective of there flowers and feeders, constantly chasing rivals off. Hummingbirds are among the smallest of bird families, with most species measuring in the 7.5–13 cm (3–5 in) range. For reference, the smallest species of hummingbird, is the Bee Hummingbird, which measures 5cm, this tiny statistic making the bee hummingbird the smallest bird in the world. 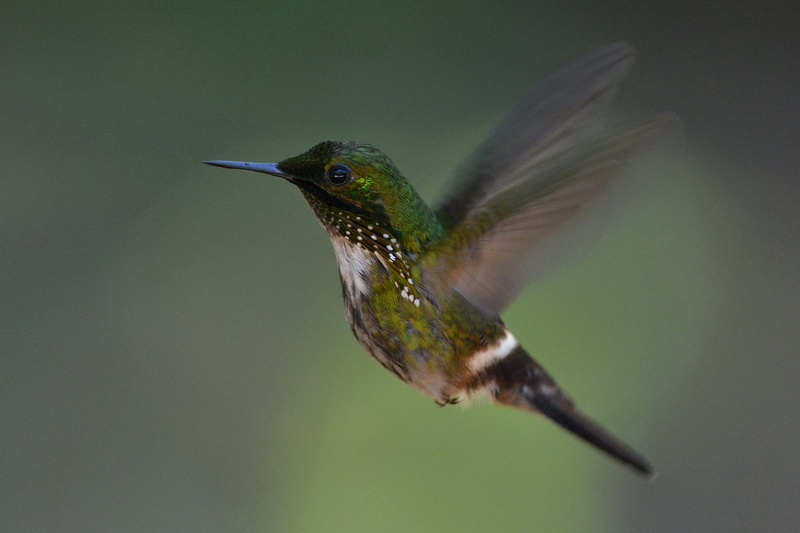 Hummingbirds hover in mid-air by rapidly flapping their wings between twelve (e.g. from the Giant Hummingbird) and approximately one hundred times per second for the smallest hummingbirds, luckily I have a pretty fast focusing lens on my camera as well as a superfast shutter speed. Not surprisingly, these small acrobatic birds are called hummingbirds because of the humming sound created by their beating wings, which sometimes sounds like bees or other insects. To conserve energy while they sleep or when food is scarce, they have the ability to go into a hibernation-like state where their metabolic rate is slowed. When the nights get colder, their body temperature can drop significantly and thus slow down their heart and breathing rate. 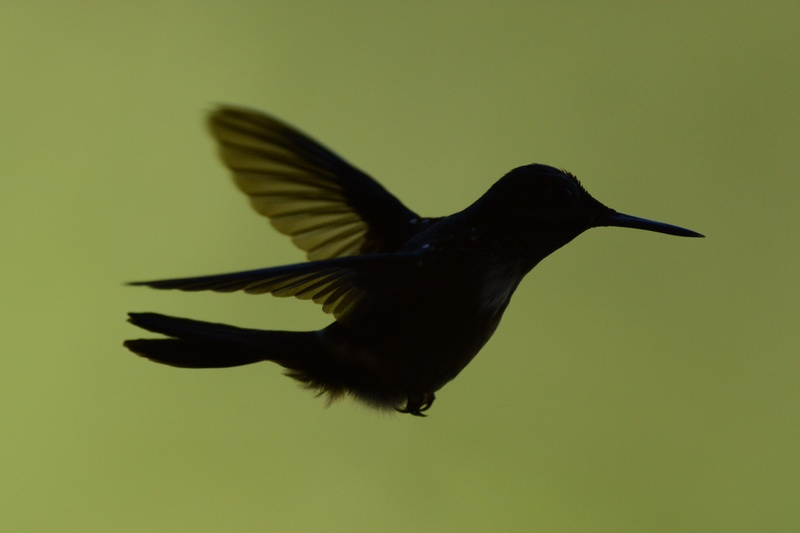 As the day heats back up, the hummingbird’s body temperature will come back up and they resume their normal activity. They can fly at speeds exceeding 54 km/hour, that’s 34 mph for the British, so up there with Usain Bolt! The most interesting fact about the hummingbird though is that they are the only group of birds that have the ability to fly backwards. There are some 341 species of hummingbird in the world, accordingly to IOC World Bird list. Within Brazil, there are 81 species, of which 13 are endemic. I managed to see 16 species in the Atlantic forest. Names for hummingbirds are often exotic and include the following for some of the Brazilian species; ruby, emerald, sapphire, seeing a pattern here? Hummingbirds are specialized nectarivores and are tied to certain species of flowers to be able to feed upon. Some species, especially those with unusual bill shapes such as the sicklebills, are co-evolved with a small number of flower species. Remarkably, Hummingbirds have long life-spans, considering the rapid metabolisms. 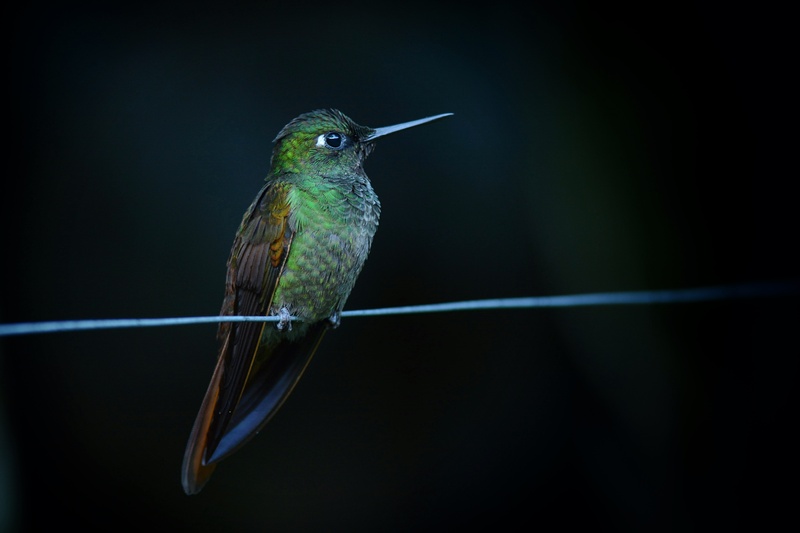 If a hummingbird survives its first year, there is a good chance of living a decade or more. Something that surprised me a few years back when I was on holiday in British Colombia, Canada, was the vast distances Hummingbirds migrate over. It is quite amazing that Hummingbirds are found from the southern tip of South America; Tierra del Fuego all the way North to Alaska! The majority of species occur in tropical and subtropical Central and South America, including the Caribbean, but several species also breed in temperate climates and some species even occur in the Andean highlands at altitudes of up to 5,000 metres . 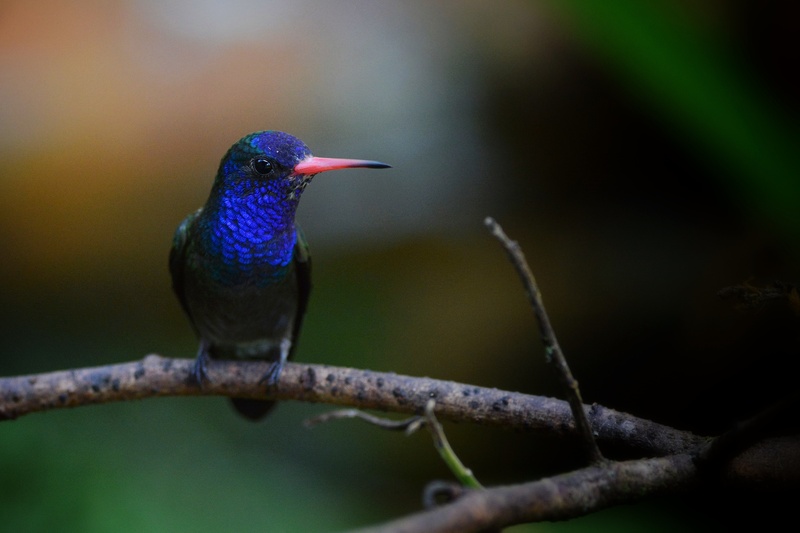 This entry was posted in Birds, Brazil, Nature, Photography, South America, Travel and tagged Birds, Brazil, Hummingbirds, Nature, Photography, South America, Travel. Bookmark the permalink. Beautiful photography Mark! Didn’t know there are so many different species of this enchanting little bird! I saw one once in Cozemel and was fascinated hearing and watching it! Fantastic Blog! Thanks Bill and Joan. Maybe Cozemel is a future destination! I’m going to Rio in Brazil in a couple of days. I’m dying to see the hummingbirds and they have a special meaning to me. You have any tips about where, when and how I can see them there? Thanks so much in advance! Serra dos Toucanos lodge is approx 1 1/2 hours from Rio, there are a lot of hummingbirds here. This is the closest and best place to Rio to observe many species of hummingbirds, and other birds.